Alcohol free beer? You've got to be kidding. It looks like it's really not cool to be tee-total in Britain. If you fancy an alcohol free night out and want to take the car there really isn't much to choose from at the pub when it comes to drinks. Where's the alcohol free beer? And how much are you charging me for that glass of coke? Here in the UK we seriously have the wrong attitude to alcohol. You just have to turn on the TV or open a newspaper and you will be swamped with stories about binge drinking, drink driving and alcohol related violence. Drink driving is probably the main thing that constantly grabs the headlines and yet the industry and government stand by and watch without really doing anything useful to help. I recently switched over to alcohol free beer myself and found that the local Tesco supermarket does Kaliber and Becks low alcohol at a very reasonable price. I just can't help thinking that if the pubs and clubs did the same, and offered those who just don't want to drink a reasonable low cost alternative to alcohol, that it could definitely go some way to help fix the alcohol related issues we face in this country. Some of our pubs do cater for our friend DES! Unfortunately they have to pay dearly for the privilege of being responsible as the alcohol free beer is just as expensive, or in some cases, more expensive than the alcoholic equivalent. Not really likely to win over those who might consider staying sober, is it? 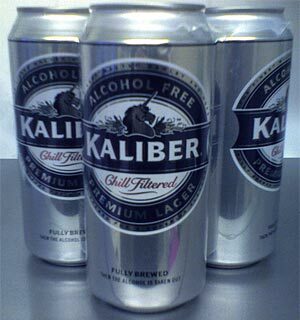 Kaliber Alcohol-free Lager = Hello, fair car-legal beer, OK? Also, what about pregnant women, tee-totalers and people who have a medical condition which prevents them from consuming alcohol? Is diet coke and the odd OJ the best the local watering hole can offer? I think the government and alcohol industry need to pull their finger out and get a little more creative. In my opinion relaxing the licensing laws would be a step in the right direction, but some real alternatives and some good education is needed too. I agree with your comments. No duty on non alcoholic drinks. So why the high price. We have along way to go to catch up with the " continent" regarding non alcoholic drink availability, and cost. Those idiots that think alcohol free is not for pubs need to think again and have no brains. They need at least 1 draft alchol free beer in all pubs because if you don't want alchol you don't always want to have pop. Great post that I couldn't agree more with. Sadly some of the comments that follow it are just ignorant. I've long been a fairly heavy social drinker who in recent years (I'm 38) has started to worry about the amount I drink. I'm currently on the wagon as a result and am finding it surprisingly easy, due in part to having Becks Blue as a substitute. But I know that if I go to a pub at some point, the temptation will be to have a few beers - unless they have something like Becks Blue available, which presumably many pubs still don't. So, actually, the point of going to the pub for a lot of people isn't to get smashed, it's to have a drink and socialise, and as I get older I'd like to focus more on the latter. We supposedly live in a responsible, progressive society in the UK, so why can't the government make it mandatory for pubs to provide better, more creative alternatives to drinking alcohol in pubs than just Coke and J2O? This would help people like me who wish to cut down/give up alcohol whilst also potentially saving lives and reducing the burden on the NHS, especially at peak times like Christmas. Why would anyone wish to go to a pub if not to get drunk? that is what they are for after all, to drink away the stresses of this miserable, modern life. Pubs are not places for teetotalers or recovering alcoholics. The Sheffield Tap,on the railway station,serves Erdinger non alcoholic and a decent Belgian non alcoholic beer.Sadly most pubs in S.Yorks. sell only Becks non alcoholic beer.Yuk. On my travels in N.Yorks. 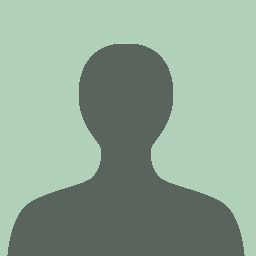 I have been served Bitburg Driver in free houses.OK. I have never been able to buy non alcoholic wine in a pub or restaurant. Tesco do Sorelle and Asda do Fre,both are OK. as rose and white wine but non alcoholic red wine?Yuk! Bavaria beer is in most supermarkets in regular and wheat beer form.The latter is good when chilled down to accompany a curry. There is a specialist retailer of non alcoholic beers and wines on the Oldham side of Manchester and they do have a website. I do not drink alcohol anymore for health related reasons but I still like to have a drink with my mates in the pub before going for a curry etc. When you have to give up alcohol it is quite hard to find a decent drink in most pubs.Landlords have to turn a profit and ,reasonably,will not carry dead stock on their shelves,so they tend to stick to Becks or soft drinks for the likes of me. It is just down to market forces really. In France you can get non alcoholic Kronenburg and the Germans do Erdinger,Klausthaller and Bitburg non alcoholic beers,with Arabic on the labels,so are our brewers missing out on an export market? Hope this info. Is of use to fellow ex drinkers who are sick of J2O etc. I did try alcohol-free becks in my local wetherspoons but it tasted crap. I personally think pubs are for drinking and if you want non-alcohol solutions have a fruit juice coke, lemonade, whatever that most pubs offer anyway. Why should a pub thats not a big chain and the landlord is trying to earn a basic living after costs buy in crap that no-one really buys just to have an option for the occasional "pair of poofs" if they visit once in a blue moon? I know it wont be agreed with by many but here goes: i think gainsborough lad has a point. There are plenty of lemons on the road who never drink-drive or go over 30 or 40mph (depending on area limits) and yet they don't have a clue what they're doing. Putting a limit on number of beers you can drink before driving is silly as the weekly units limit to be healthy. Different people react differently to different amounts/types of alcohol(beer/whiskey/vodka/wine etc) and there are those who can drive after a few with no bother. In fact some Irish minister got the sack for saying 1-2 glasses would let a nervous driver take the edge off. Classic case of British resistance to change with the majority of pubs still 'tied' to 'pubco's' who are little different to the 'tied' houses of brewery days, over priced incoming stock, restricted choice and no innovation in case the rent goes up ! Take a look at Spain, most bars are free houses and '00' and other sin alcohol beers are readily available. It's even available on draught in many places !! Maybe Tony Blair as our envoy for enlightened change ? There's always pepsi or dr pepper or mountain dew etc. Monkeytoes, I've seen non or low alcohol wine for sale in supermarkets so it certainly exists. (Nearly bought some by accident once!) Keep asking in the pub, they may get the message eventually.